Visit any major U.S. city and you'll likely see the anecdotal evidence that use of public transit is steadily growing in popularity. 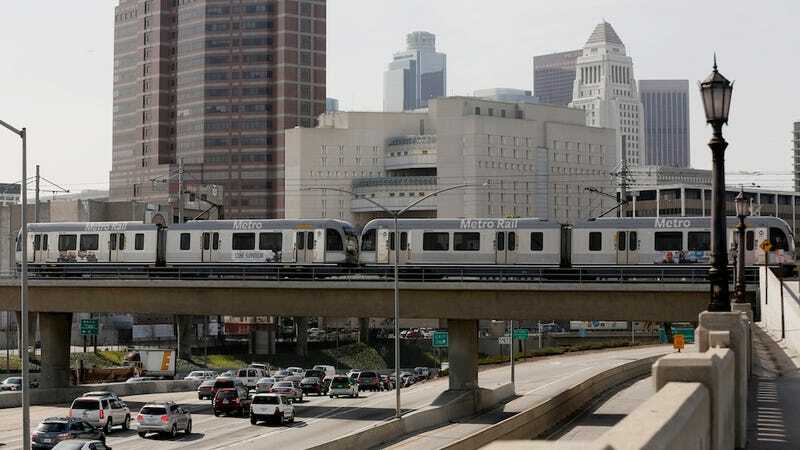 Last year, however, Americans reached an important milestone: according to a new study by the American Public Transit Association, U.S. residents took almost 10.7 billion trips on transit, the highest number since 1956. It's not just big cities with established rail systems that are seeing all the increases. People are riding the bus, too. Some of the cities that showed record-high ridership numbers included Ann Arbor, Cleveland, Flagstaff, Indianapolis, Salt Lake City, Tampa, and Yuma. One reason for the bump is that cities are now recovering from the recession and are able to pour more financial resources into their transit systems. Why is it notable that we're seeing ridership numbers look like they did a half-century ago? 1956 was just about when the concept of suburbia was taking off and Americans were starting to shift their behavior and lifestyles, moving away from urban areas and purchasing a car or two for their new single-family garages. If we're seeing ridership as high as that era again, it would signify a change in not only how people commute, but where and how they're choosing to live.